Genies & Gems – Games for Android 2018 – Free download. 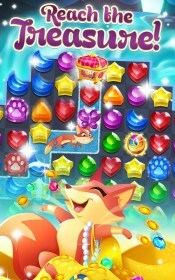 Genies & Gems – Help the fox get to where he's going. What’s the most generic match-three game you can think of? Well, this won’t be one of them. And that surprised me because just when I thought all of these games were just slightly modified copies of each other, one throws in some mechanics that prove me wrong. 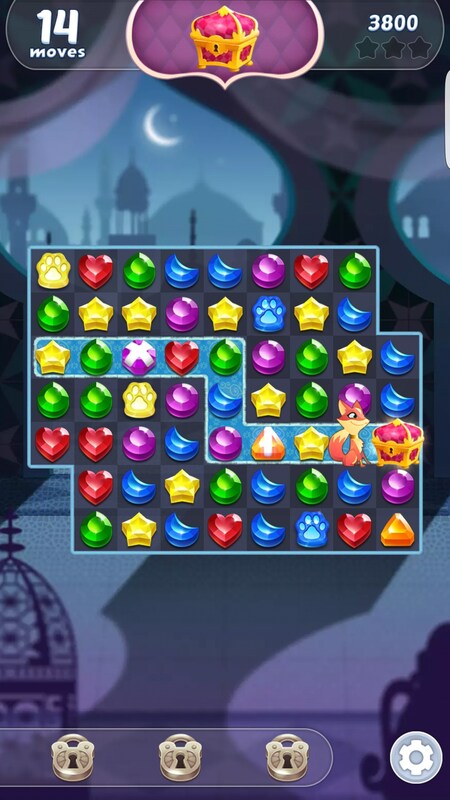 Genies and Gems for Android is a match-three game, but it’s not quite like all of the others. So the game’s mechanical changes aren’t really all that radical. 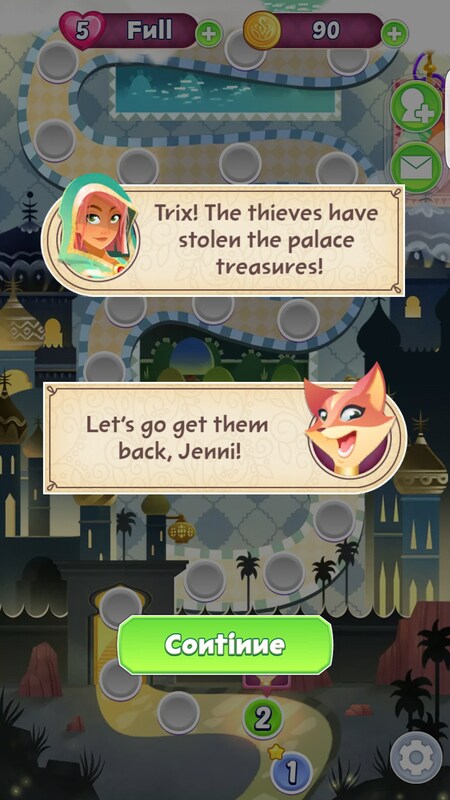 You’re still matching gems together, after all. 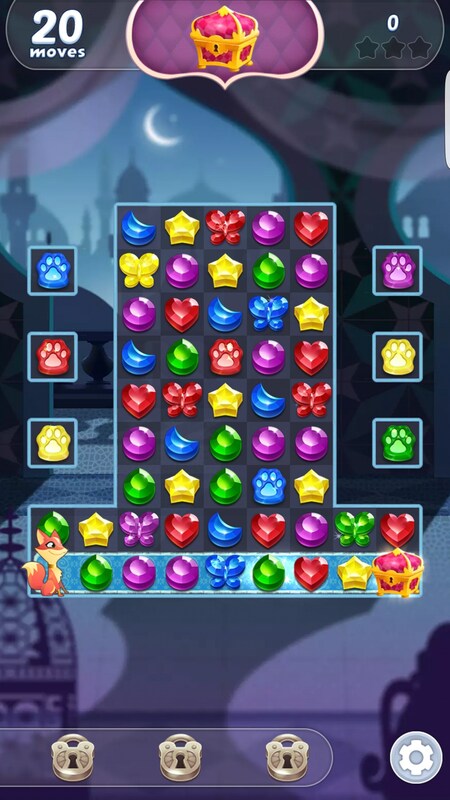 The key here is that you’ve gotta match very specific gems - paws, to be exact. Matching any other set of gems together is just a means to an end. Why do you need to move paws? 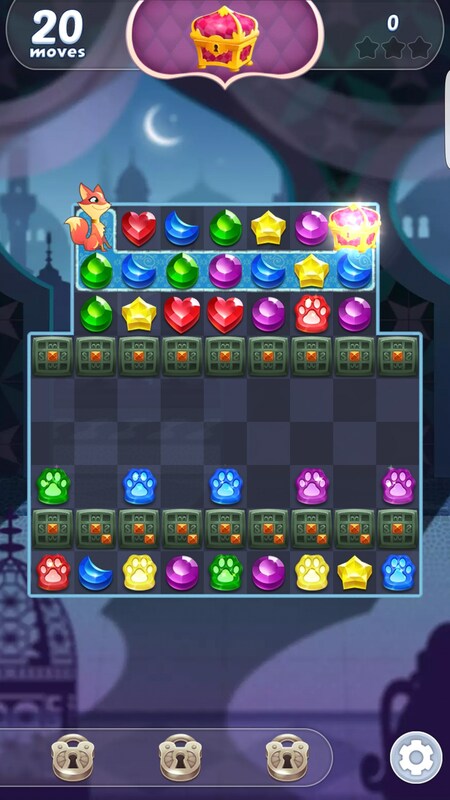 Well, that’s because you’re actually trying to get a fox from one end of the level to the next, and the fox’s placement actually affects the level. 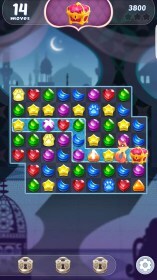 In fact, some of the levels are designed uniquely around this idea. 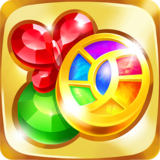 Sometimes, for instance, none of the paw gems will be obtainable through strictly matching them with other gems of the same color. 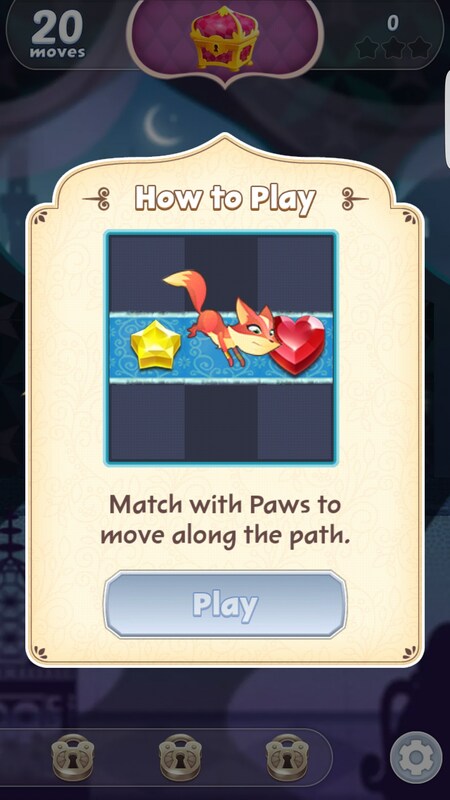 Instead, you’ll need to make big matches so you can get a butterfly gem that will grab the unreachable paw gem for you. 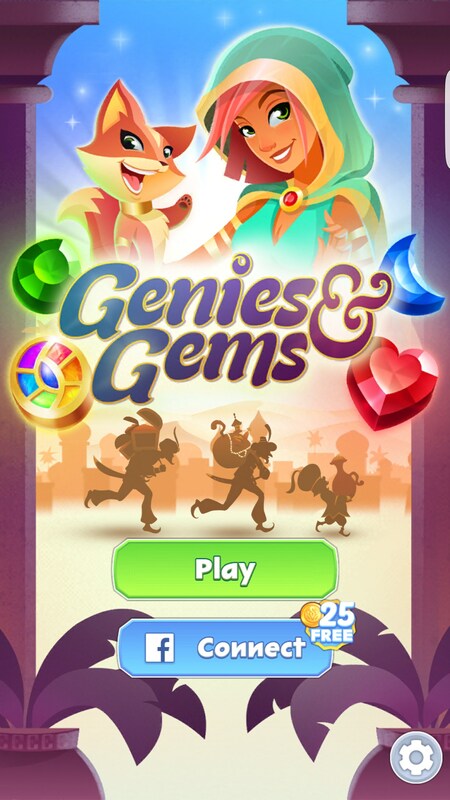 Genies and Gems doesn’t come together in a neatly presented package, however. The scoring is extremely difficult, it relies heavily on luck, and the art style certainly doesn’t lend itself any favors. But if you’re simply looking for the next match-three game to play, give this one a shot.